The Loo For You! - The Newcastle Bath Co. Which loo will do for you?Like everything these days, choices are many. Gone are the days of the standard cistern and toilet because now you have to decide between back to wall, hidden cistern, rimless or deluxe. 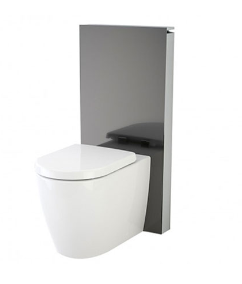 The humble loo requires a little bit of thought as it is an integral piece of bathroom furniture! Here is a break down of your choices in toilet. Not much to say about the standard except avoid the really cheap ones. As always, you get what you pay for and it’s a real pain to replace a broken loo in a new bathroom. Most standard toilets there days are ‘close coupled’ so the pan and the cistern are one unit and the pipes at the back between the two are concealed. These toilets look like a standard loo with one minor detail change. As the name suggests, the back of the pan and the cistern sit flush up against the wall. Back to the wall toilets have a modern appeal and the design eliminates any nasty little voids at the back that collect dust and are difficult to clean. Now, to hide a cistern or not? A hidden cistern is where the upper component of the toilet is built into the wall behind it. It gives a great modern look to the bathroom but if something goes wrong with the cistern, it can be a pain to access and fix. Having said that, the chances of having a problem such as this are low. Wall Hung Pan-There are just like wall faced pans except they are raised off the floor. Again this provides a sense of space and a modern aesthetic. These also have the added versatility of being able to be hung at different heights if desired. 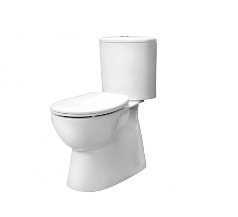 The rim in a standard loo is located just under the seat at the upper edge of the porcelain component. This folds in on itself and leaves an area that grow all sorts of vile germs and mold. Traditionally the rim was used to ensure water did not splash over the bowl when flushed. 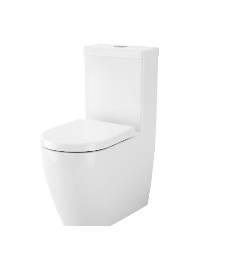 The design of the rimless loo is a relatively new to the market. Because there is no fold at the top, the rimless loo looks and functions just like a standard loo but is more hygienic. 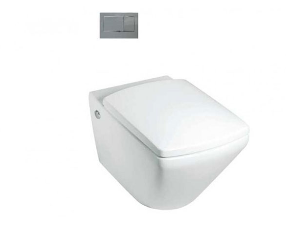 At the Newcastle bath Co we are a fan of the rimless loo and include it in our quoted PC items. Let us help with the loo for you. Our designer will help make your bathroom choices a breeze! So call The Newcastle Bath Co today for your obligation free quote.